One thing is for sure: The movie has been VERY WELL received! Virtually all reviews in the press, as well as on Amazon and beyond, have given the film ⭐️⭐️⭐️⭐️⭐️ - 5 out of 5 stars. It shows that all the hard work by so many dedicated people has paid off with a quality production. We are also proud to say that the film's veracity and accuracy remains completely unchallenged. Every word and frame remains well substantiated and held up to the most rigid scrutiny. Now that the production of the film is complete, we still need to promote the movie so that many more people will have a chance to see it. However, promotion does not come cheap, so we are asking you to please help us out once more to tell the world about this terrible injustice. Although we were able to raise most of the money need for the production, in order to complete the film we borrowed $20,000 which now needs to be repaid. Despite the great reviews, revenues from online sales and rentals fall far short of the amount to needed to repay to production loan. We sure could use a few wealthy benefactors to help as much as possible. We will be eternally grateful your financial support. Please donate once more. We need your help! If possible, please donate as generously as possible. This is a must watch for every American. It reveals the corruption of our own judicial system….Yet it is an extraordinary professional production. The cover-up is much much worse than the initial crime. The cover-up of the cover-up even worse. Well done piece. Everyone should see this. Utterly shocking how evil people can be to one another. Don Siegelmen was framed. By the time I was done watching this movie I was furious. It is disgusting what happened to that poor man.. This documentary was very well done. The corruption isn't just limited to Alabama but goes all the way to Washington. My mind is blown and I am in shock. A "must see" if you are interested in American politics. A Tornado of Injustice… This is a must see. This is a great documentary and very illuminating. Well made and fast paced. Worth your time and anger. [I]t is explosive...The whole sordid story makes my blood boil... Please honor Don and go see the documentary, and decide for yourself what else appropriately should be done. Steve Wimberly's well researched expose' of corrupt political warfare that brought down the last democratic governor in the state of Alabama. It is timely and alarming. …This convincing revelation is a must see for any American citizen concerned about the future of our democracy. I was quickly captured by this true story of political intrigue. The blatant abuse of our criminal justice system to politically assassinate the honorable and popular Alabama governor, Don Siegelman, was shocking. America needs to see how it was done and what really happened. Please click here to donate. We need your help! Please help us to get this movie out there so that everyone will know the horrible injustice that happened. We will be eternally grateful for any help to make this movie a success! 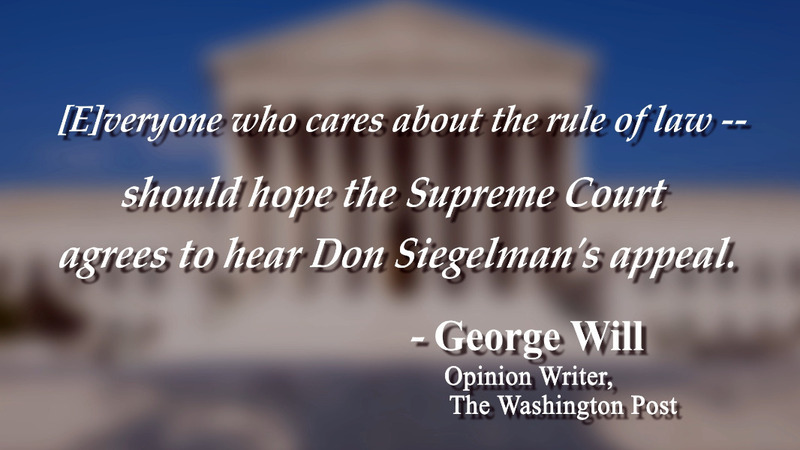 Former Alabama Governor Don Siegelman believed in a judicial system that completely failed him. As many of you know, Don was a popular Democrat who’d won every statewide office in Alabama before he was railroaded into jail by the most notorious name in American politics – Karl Rove. This film has the potential to make a major impact on politics by exposing the corrupt, immoral tactics used by Republican operatives that are responsible for putting this innocent man in jail. We will reveal the dark underbelly of Republican politics. It will explain how Karl Rove used his senior executive position in the Bush White House to “get rid of Siegelman” because Republicans simply couldn’t beat him at the polls. Rove began by arranging for loyal Republican operatives, and Siegelman’s political adversaries, to be appointed as federal prosecutors. The federal prosecutor that indicted Gov. Siegelman (Leura Canary) was married to the campaign manager of his opponent (Bill Canary)! Those prosecutors quickly indicted Siegelman with fake, made-up charges alleging actions that, according to hundreds of legal experts – both Republican and Democrat – have never been crimes in the history of American jurisprudence. Then, to make those false charges stick, a Republican “hanging judge" with numerous personal, political, and financial conflicts was suspiciously selected to preside over the trial. Before the trial, Gov. Siegelman caught Mark Fuller misappropriating over $300,000 in state retirement funds. The embarrassed Fuller, now a federal judge, vowed payback. Fuller got his chance when he was assigned to preside over Gov. Siegelman's trial. Inside this excessively biased courtroom, Rove's henchmen got away with a staggering array of judicial misconduct: lying to the jury, bribing the judge, scripting witness testimony, threatening the witness if he didn’t comply, multiple improper jury instructions, jury tampering, and allowing admittance of false evidence. Under threat of impeachment, Judge Mark Fuller resigned from the federal bench for beating his wife. An investigation found that he had beat his wife on numerous occasions and lied to investigators. There was no way possible for Siegelman to get a fair trial because the only official oversight at Justice was under Rove's control. With Karl Rove's client, the former Alabama Attorney General on the court of appeals, it is little wonder that Gov. Siegelman's appeals for justice have been resoundingly denied. Despite being one of the most popular and respected figures in Alabama with decades of unblemished public service, Don Siegelman’s life has been devastated. He’s been away from his family for years. Siegelman has been completely stripped of his freedom and lost everything including his home, his savings, and a very promising career. 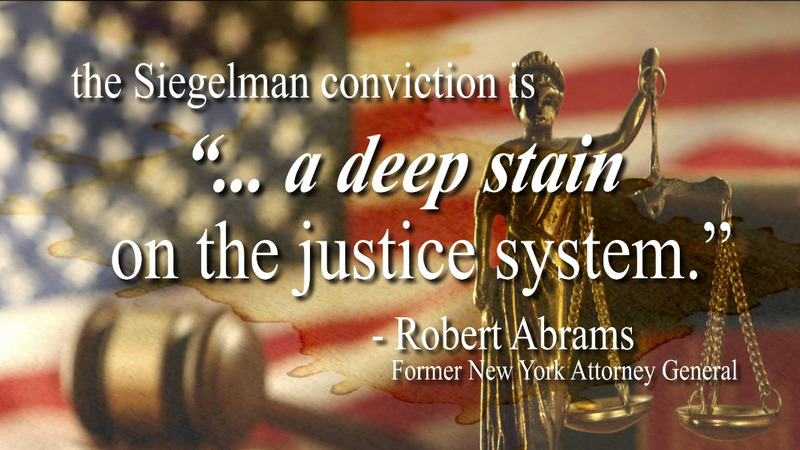 He has endured more hardship than most of us can imagine, even though hundreds of America’s top legal experts say he never committed a crime. Since his conviction, countless Democrats and Republicans have formally declared their support for Don's innocence. 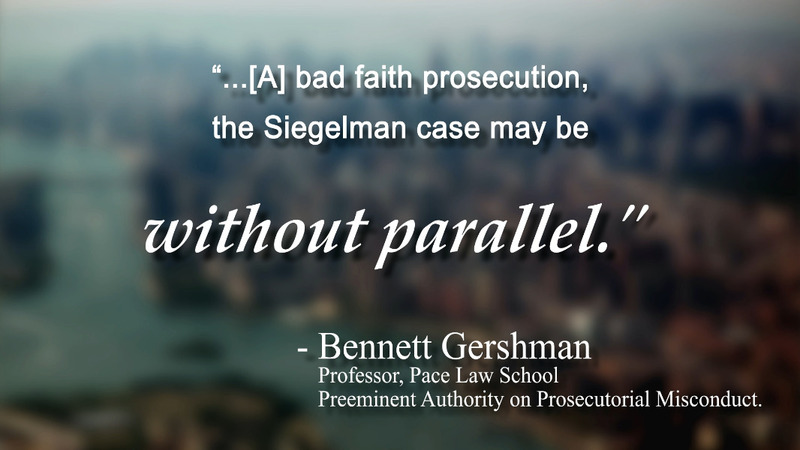 Most notably, 113 former states’ Attorneys General from both political parties signed a formal petition protesting the rampant prosecutorial misconduct and judicial abuse in this trial. This is the first time in American history that so many legal experts have come forward to condemn the deliberate injustice directed at a single person. The film will be produced and directed by Steve Wimberly. Should you carry that same hunger for truth, please join us so that the whole story behind the political assassination of this innocent man no longer remains a secret. This story must be told. We can’t express just how important you are! Without your participation, this project will not happen. We would love for you to be a part of the journey! Please join us...be a part of the journey! 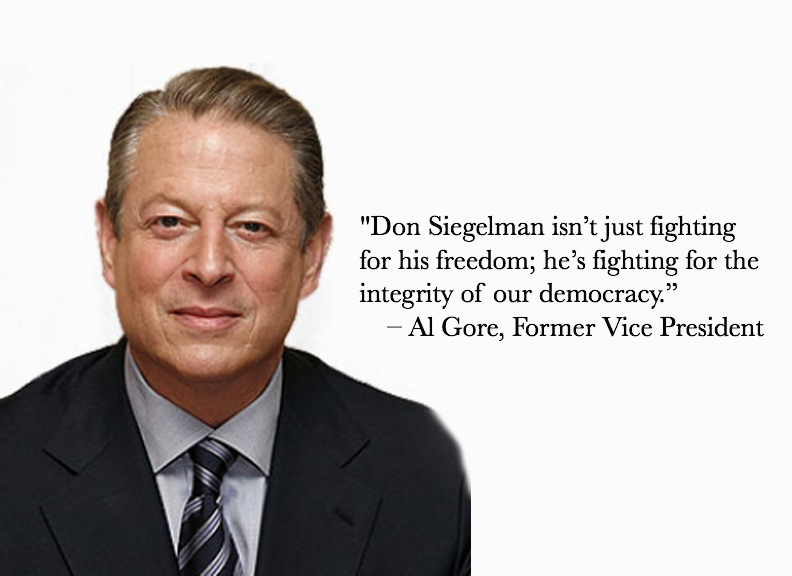 As most of you know, Don's son, Joe Siegelman, is running for Attorney General of Alabama. So far, his chances look very good; however, those same dark forces that helped to unfairly unseat his father in the 2002 Alabama Governor's race are at work once again by secretly funneling illegal donations from out-of-state PACs (aka Dark Money) to the younger Siegelman's opponent. Sixteen years ago, the elder Siegelman maintained a solid lead in the polls in his bid for Alabama Governor. Despite the advantage, his opponent, Republican Bob Riley began receiving massive donations from unknown origins. It was later learned that those huge funds came from out-of-state PACs, which were illegal then, and remain so to this day. Unfortunately, those unchecked misappropriated funds were allowed to to be made to his opponent's campaign, and, as usual for Alabama politics, ethics rules were never enforced. This was the first of many questionable events that clouded one of the most controvertible elections in American history. It's also featured in the first scene in our documentary on Don Siegelman's political assassination. The sad part is that it's happening once again. 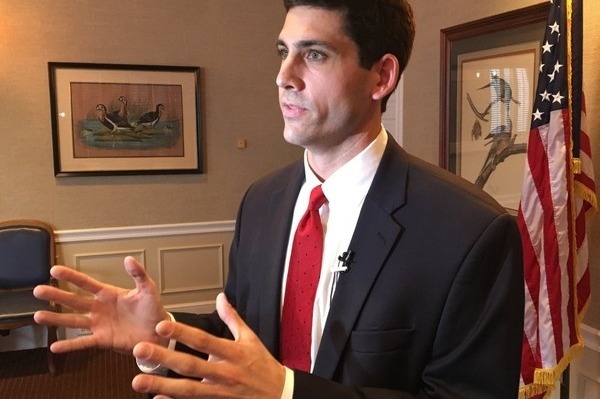 Joe Siegelman, is running against Republican Steve Marshall to become Alabama's next top lawman. In similar form to this dad's campaign, Marshall has illegally received about $735,000 in donations from out-of-state PACs, a huge sum for a state A.G. race. As the old saying goes...follow the money. But in this case, that's virtually impossible. Who knows where the money came from, and what they want in return for their donation. Sadly, it's still open season for corruption throughout the state. Siegelman stated: "_The people of Alabama need to know that their attorney general is not working for any out-of-state interests. That he or she is working for them exclusively for them. Not only is it suspicious and concerning that my opponent has accepted three-quarters of a million dollars of dark money from out of state." He continued: "It seems as if that money is illegal under Alabama law. This is an issue that must be addressed. It's an issue the people of Alabama need to know about._"
We would like to offer special thanks to all our Angel Donors. 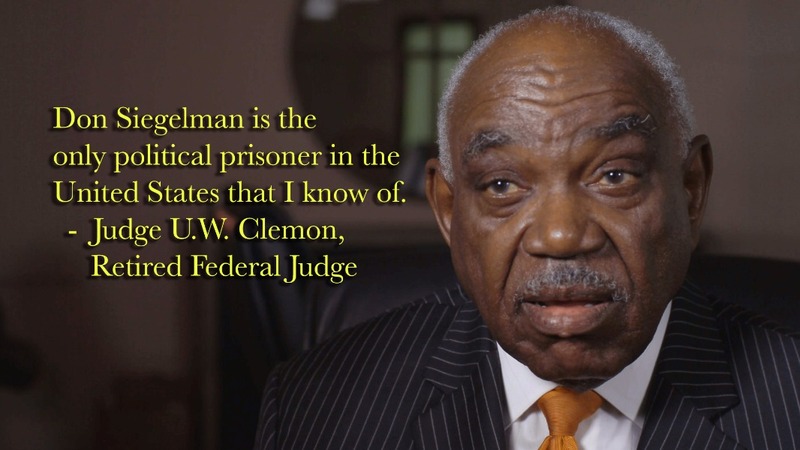 We proud to say that with your contributions, we have conducted many interviews with expert attorneys, lawmakers and others that were on the front lines when Don Siegelman was railroaded into jail. They have shared their stories of what happened behind closed doors in this case. Viewers will learn just how corrupt Republican politics can be, especially when the deck had been stacked completely against their opponents, such as the former Alabama Governor. In addition to those interviews, others have come forward and are willing to go on camera to shed even more light on this travesty of justice. In order to conduct those interviews, we need to raise more funds to cover our expenses. If it's at all possible, please consider making another contribution. Filmmaking may be expensive, but the finished product will hopefully make a meaningful difference to help stamp out corruption and offer some form of vindication that Gov. 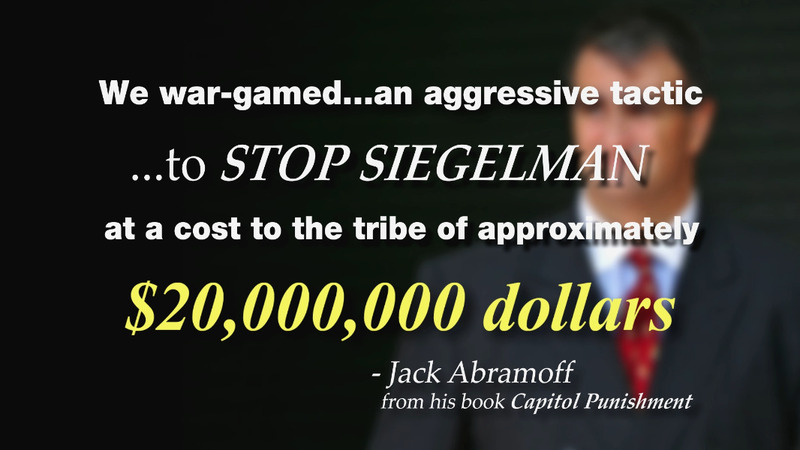 Siegelman so rightly deserves. We have uncovered even more vital information that will reveal just how Don Siegelman was railroaded into prison by the most notorious names in Republican politics. It truly was a conspiracy, and how they got away with it is something everyone should know about. What we will reveal in this movie will make Watergate look like child's play. That's not an exaggeration...it's very real. We are proud to say that we have accomplished so much. We have gotten this far because of your generous donation. Movie making is a long, and expensive process. We have completed most of our interviews, but we still need your donation to pay for editing the footage and prepare the film for theaters. We want to release this film as soon as possible. The only way for this film to be completed is through continued donations. We kindly ask if you might contribute again by going to this page. As most of you know, we are now supported by the International Documentary Association, which makes all donations tax-exempt. 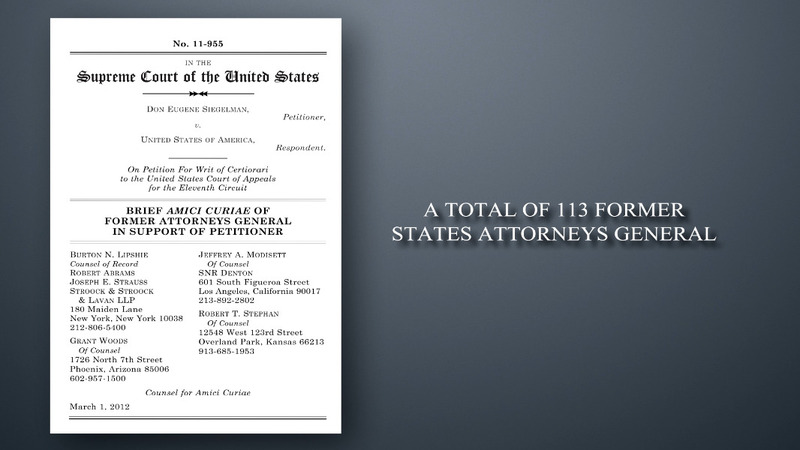 Please make a donation to help us complete this film to expose all the corruption behind this travesty of justice. We will all be eternally grateful. Americans should stand up when our citizens are jailed by an authoritarian regime - whether it be Iran or Alabama. This story along with documentary "Dark Money" would be quite the double header for those searching for the truth. I have no faith in our Federal Government anymore. None. Hopefully we can save the state.